Regular visitors to this blog (and any Guardian reader) will be familiar with the fake psychometric ‘test’ the DWP and Cabinet Office were inflicting on unemployed people under threat of benefit sanction. This ‘test’, devised by a US ‘torture guru’, which asked a series of disturbing questions resulting in meaningless answers, was forced on jobseekers without any of the safeguards required of proper psychological experiments, and has resulted in complaints from many qualified psychologists. An investigation into the DWP’s leading psychologist has been initiated by the care professions’ oversight body. However, much of the drive to implement this experiment came from the Number 10’s (via the Cabinet Office) ‘Behavioural Insights Team, or ‘nudge unit‘ – and the nudge unit does not have a properly-qualified psychologist. Its head has a psychology degree, but that does not qualify someone to conduct experiments. To get to the bottom of the tangled mess of deceit and culpability, I sent a series of Freedom of Information (FOI) requests to the DWP. The DWP stated that its responses were co-ordinated with the Cabinet Office, but in each case the answers represented little but poorly-disguised evasion. that no one had been threatened with benefit sanction. The head of the nudge unit even wrote a letter to the newspapers insisting on it – and then the DWP let slip that people had, in fact, been so threatened. that Jobcentre Plus (JCP) personnel had been trained by ‘experts’ in how to select ‘candidates’ for the ‘test’. Under further questioning, it transpired that the ‘training’ consisted of a short talk outlining the test to JCP advisers, with nothing about how to properly select jobseekers for the test – or, crucially, to inform them and obtain consent. And the ‘experts’ turned out to be anything but – merely being a member of the nudge unit was supposedly enough to make one ‘expert’, and the DWP’s answer about the qualifications of these ‘experts’ was that they were ‘facilitated’ by a psychologist. I am writing to request an internal review of Department for Work and Pensions’s handling of my FOI request ”Expert’ training on My Strengths test selection’. The answers given are either vague, non-responsive to the questions asked, or both. You said the ‘experts’ were “members of the Behavioural Insight Team in the Cabinet Office”. I asked what their qualifications are that make them ‘expert’ – I did not ask who was the ‘lead facilitator’. Please provide the qualifications of every “member of the “Behavioural Insight Team in the Cabinet Office” that renders them an ‘expert’, which is what I asked for. Please also provide the name of the ‘lead facilitator’. My original FOI asked what training was given to JCP advisers in identifying the right people to have take the ‘My Strengths’ test. You responded that this was part of ‘coaching sessions’ given to them. You have now provided me with the ‘Building Resilience’ PDF – but this does not mention a single word about how to properly select candidates for the questionnaire, nor how to identify people with mental health issues or other vulnerabilities who might be harmed by it. Does this therefore mean, contrary to your original response, that *no* training was given to JCP advisers in how to select candidates for the ‘My Strengths’ test? If this is not the case, then please provide details of the actual training that *was* given, and by whom – in full, including details of their qualifications to do so. 1. These staff are Cabinet Office members of staff therefore DWP do not hold this information and any further request would have to be directed to the Behavioural Insights Team, Cabinet Office. 2. The lead facilitator was a member of the Behavioural Insights Team, Cabinet Office. 3. All advisers were trained to deliver the test and encouraged to voice any questions during training. The strengths exercise was not compulsory for use by advisers or customers. Advisers were encouraged to decide using their knowledge of each individual claimant. Remember that on previous responses, the DWP has advised that it co-ordinated its answers with the BIT – but now, suddenly, it’s unable to do that any more and tries to pass the buck and delay any response even further. Remember also that the DWP had previously stated that the ‘lead facilitator’ was a DWP psychologist. Now suddenly it’s a member of the BIT – which does not have any qualified psychologists. Remember that the DWP has admitted that jobseekers were threatened with benefit sanction and that the test had been given as mandatory on some occasions. Suddenly we’re back to the original denial, in spite of documentary evidence on the record to the contrary. You have stated that your previous responses to this FOI request have been collated in co-operation with the Cabinet Office. It is not now acceptable to switch tactic and state that you’re unable to answer because the information is held by the Cabinet Office. The information is perfectly simple (and much easier to provide than what you’ve already provided in co-operation with the Cabinet Office): names and qualifications of those involved. Please stop evading and provide this perfectly straightforward information immediately. Cabinet Office have been contacted and they have confirmed that this personal information will not be shared. Any future request of this nature will have to be directed to the Cabinet Office. I am content that your original request was dealt with in accordance with DWP guidelines for FoI requests. I will, of course, be taking this up with the Information Commissioner’s Office – but the ICO’s decisions are notoriously slow in coming. However, it’s absolutely plain that if the DWP – or the Cabinet Office – could put forward legitimate personnel with legitimate qualifications to take responsibility for this invidious ‘test’, they would have done so. That they continue to obfuscate and evade amounts to proof that they were unleashing unvalidated tests, implemented by people with no genuine qualification to do so, on a set of people more likely than the average population to contain individuals with fragile mental health and a greater risk of damage and even suicide. The Department of Whitewash and Propaganda (DWP) must have someone training their FOI staff in how to mislead and evade, Of course their top man, IDS, is the expert in this since he’s been doing it all his life, Its no coincidence, surely, that since 2010 when he took over every blogger or concerned person I’ve come across who’s reported on their experience of asking the DWP for FOI has had exactly the same experience as you, Steve. In fact I also have made a complaint about them to the ICO for similar treatment of a FOI regarding ESA deaths. Isn’t it time there was some sort of public enquiry about the disgraceful way they consistently dodge and sidestep their duty to tell us the truth? Like you say, if they had nothing to hide they wouldn’t be behaving like this. 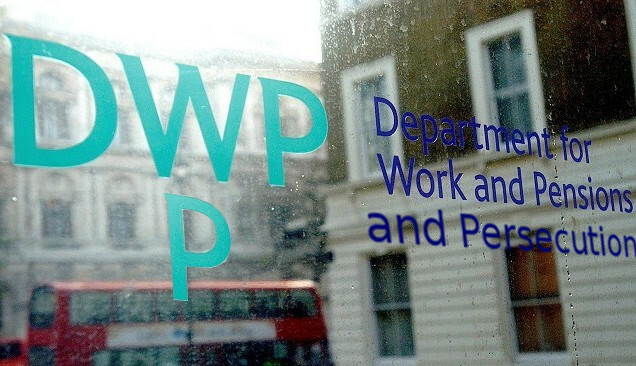 Why can’t the DWP EVER give a straightforward answer to Freedom of Information requests ? Would a department with nothing to hide really need to behave like this? that a medal is to be awarded simply for joining the organisation have yet to be confirmed. Haha some police are rather like magpies dont you think?, fascinated with shiny baubles ,black and white adorning thugs who ruthlessly set upon anyone pointed out by some right wing pointer. Yet another example of the ‘McKinsey Mantra’ that this govt seem to use continually – “Delay, Deny and Defend.” It doesn’t matter what the scenario is, everyone is treated ‘fairly’ ie with the same level of contempt. Risking suicide by treating vulnerable people in this way by unqualified personnel should really be a criminal offence similar to drunk driving. This is my medical opinion.